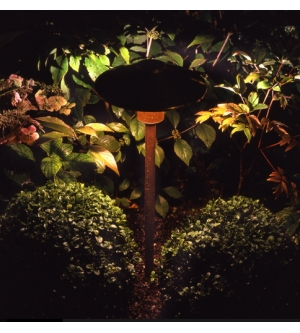 The Tier Lite is designed for illuminating medium level foliage. It provides 360 degree illumination on a horizontal plane and does not project any vertical light. 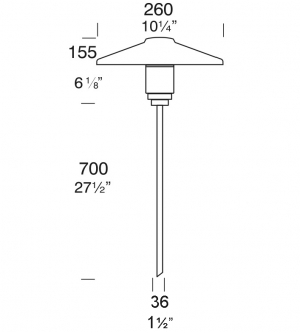 The luminaire is mounted onto a 700mm pole to provide a soft pool of light suitable for a wide variety of landscape situations.